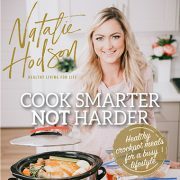 Natalie Hodson’s MRM Stack – available now! 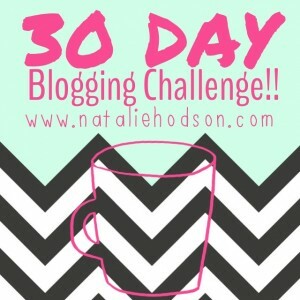 For the 12th day of my blogging challenge (click here to read about my 30 day blogging challenge), I am so excited to share with you guys this big announcement!! 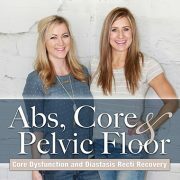 In another blog post (here) I talk about why I really like the company MRM, why I began using their products two years ago when I was trying to get in shape and lose weight after my son was born (baby #1), and why I continued to use their products after we found out I was expecting with baby #2, and now that I am losing the baby weight again and getting back in shape after my second baby. 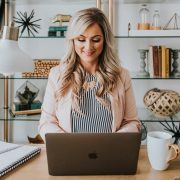 What I love about this company is that they really limit the use of fillers and artificial sweeteners in their products (which is why I have felt comfortable using their products while pregnant and nursing). Plus their powders all taste awesome and mix really well without getting clumpy. They have a long-term health approach and are a very family-oriented company. Normally everything here retails for $115, but MRM is going to put it together for us for $79.99. You can order the stack by clicking HERE. Use the coupon code ‘NATALIE’ for a 30% discount at checkout. I’ve done reviews on some of these products explaining why I use and like these products. You can click here for my review on the All Natural Whey Protein, and here for my review on the Natural Reload BCAA+G. I will be the first person to say that vitamins and supplements alone are not going to get you into shape. You can take the best vitamins and supplements in the world, but if your nutrition isn’t in check you aren’t going to see the results you are looking for. 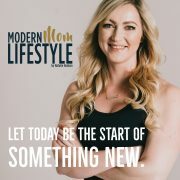 Making sure you are eating a healthy diet and exercising daily are going to be the strongest foundation you can have when it comes to losing weight and getting in shape. But, I have found that there are things I can do to aid my healthy eating habits and exercise routines, and that is where supplementation plays a role. I think everyone should be taking a multi vitamin each day. There are almost always going to be areas in our diet where we aren’t getting all of our vitamins or nutrients from the foods we eat. A good multivitamin will fill in those holes. Fish oil is also something I think everyone should be taking every day. The Fresh Omega Norwegian Extra Virgin Salmon Oil in this stack is full of Omega 3, 5, 6 and 7’s. Hundreds of studies suggest that omega-3’s may provide some benefit to a wide range of diseases: cancer, asthma, depression, cardiovascular disease, ADHD, the list goes on and on. Without healthy fats things in your body don’t work very effectively and hormones can be effected if your healthy fats are too low. 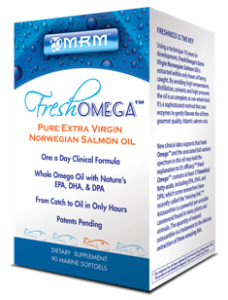 The fatty acids that are found in fish oil help with the lubrication of all cell membranes. Since cell membranes are the powerhouse of everything that goes on in the body, keeping those membranes in good shape allows nutritents to be pulled into cells and waste to be pulled out. The next item in the stack is the All Natural Reload BCAA+G. 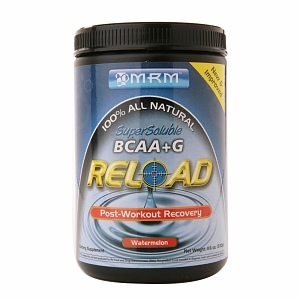 I did a full review of MRM’s Reload All Natural BCAA+G a while ago, you can click here to read it. BCAA’s stand for Branch Chained Amino Acids. Amino acids are necessary for nearly every biological process in your body. Your body has 22 standard amino acids, 9 of which are considered to be essential amino acids. Essential amino acids can’t be manufactured by the human body so they must be obtained from food sources. Among the nine essential aminos, three are considered branch chained amino acids (because of their molecular structure). BCAAs play numerous key roles in your body and help your muscles recover quickly from workouts and preserve lean muscle mass. Unlike the other essential amino acids, BCAAs are oxidized in muscle tissue and not the liver. I have written a lot about the whey protein powder in other posts (click here to read my review). I don’t rely too heavily on whey protein in my diet, but usually have one serving per day. I prefer to have whole food sources when possible, but there are times when it is more convenient to make a protein shake (I usually have mine when I workout), or eat a protein bar made with whey protein. 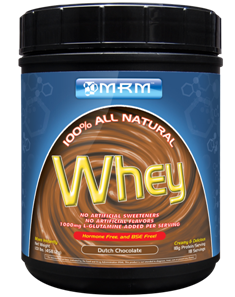 What I really like about MRM’s whey is that they don’t use any artificial sweeteners, the protein powder blends really well in a shaker bottle (no clumps), and it tastes really good. I like the Rich Vanilla flavor but the Dutch Chocolate is great too! You have your choice of flavors when you order the stack. I hope you get a chance to try these items that are going to be available at this discounted price, I think you will really love the products as much as I have. Click here to find the stack and remember that if you use the coupon code ‘Natalie’ at checkout you will get a 30% discount! If you have any questions leave them in the comment section below and I will respond! Glad to see this come out. Our primary client base is women, we stress clean eating above all and the same supplements in this stack. Time and time again I will have my clients go to health or sports stores and come back with protein powders that are full of fillers and artificial sweetness as well as products that promise extreme results. I love that you have out this bundle together that I can recommend to clients and I know it will be something that I personally use! I’m wondering if they are safe while nursing. I have seen similar supplements in stores and they most often say to not use while pregnant or breast feeding. Are these different? I’m interested in trying them and I’m currently breast feeding. I am wondering if this was a limited time offer? I tried to see the price and it said it was still 115 dollars and with the 30% it came out to 79 or something i can’t remember. I hope it was a mistake because i really want to try it!! 🙁 Please let me know!